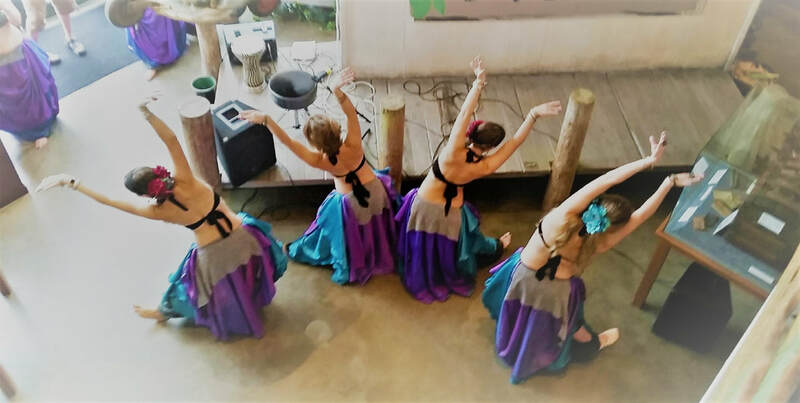 Mobile Bellydance is comprised of the Middle Eastern dance groups Baklava and Raq Garden which perform both separately and together to provide fun and entertaining bellydance to the Mobile, Alabama Gulf Coast. We specialize in live drum performances as well as tribal fusion, Egyptian cabaret, and folkloric bellydance. We would also like to congratulate our own Lisa Vega on being accepted to perform in 2 (yes 2!) World Class Bellydance shows this year! First is Kami Liddle's Expansion Bellydance Project in San Francisco. Second is Bellydance Evoluation's debut show of the Wizard of Oz in Los Angeles under the direction of Jillina. We are so proud of her and excited to see what she learns as well as what she can bring back to the Gulf Coast! Baklava Bellydance's mission is to provide the Gulf Coast with quality Middle Eastern dancing and drumming. We aim to put on a great show for our audience as we constantly challenge ourselves, keep our routines fresh, and always remember to have fun. Raq Garden has shown dedication, drive and high standards since their beginning. Performing a variety of styles including Egyptian, Cabaret, Tribal Fusion and Turkish, Raq Garden puts on a fun and entertaining show!